yela!.. non vado piu con la bici.. I started to make my own interpretation at the time I opened this photo. 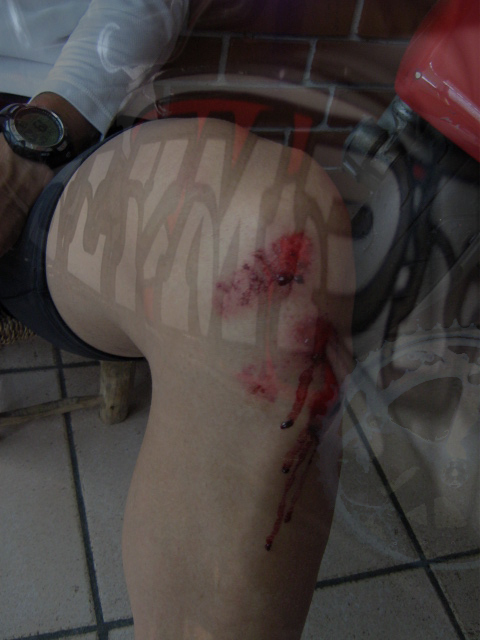 This man got his wound when he ride the motorcycle shows on the reflection. That is what I thought. I do not find much photo in TL which is showing a blood. So, this is something extraordinary even nothing is sharp and clear here.